?The Price? 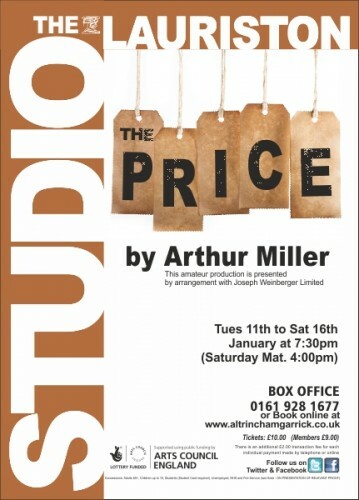 by Arthur Miller will run from Monday 11th to Saturday 16th January 2016 with Matinee on Saturday 16th. Rehearsals start on Sunday 6th December 2015.
and adding ?THE PRICE AUDITIONS? in the subject of the email ? thank you. ?The Rise and Fall of Little Voice? ?will run from Monday 18th to Saturday 23rd January 2016. 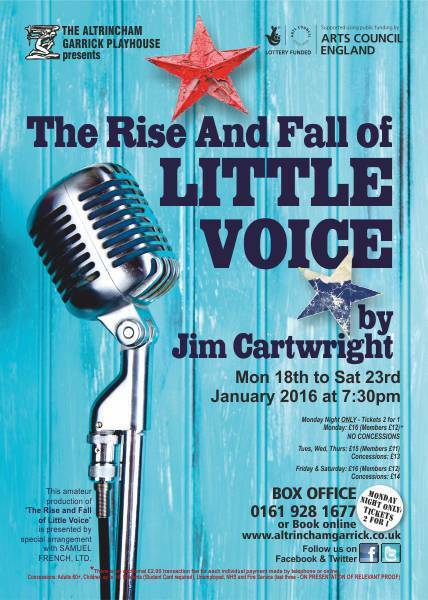 Those wishing to audition for the role of ‘Little Voice’ will be required to bring the sheet music of a song of their choice to perform. and adding ?LITTLE VOICE AUDITIONS? in the subject of the email ? thank you. The auditions will be relaxed and fun – we want to get the best out of you.